What’s it mean to become a Member of C89.5? 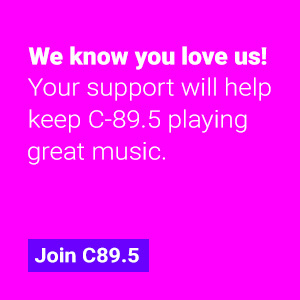 A Member is an awesome human who makes a donation to support C89.5’s educational mission and our great mix of non-commercial dance music. Becoming a Member is simple: make a donation of at least $25 and we’ll treat you like royalty! No strings attached. A Sustainer is an amazing human who makes a recurring monthly donation supporting the services C89.5 provides to students and listeners. What are the benefits of being a Sustainer? A sustaining membership allows you to make a small monthly contribution that still has a big impact. Your sustaining membership keeps the music you love on the air and helps educate hundreds of students every year. A sustaining membership also helps us budget more effectively by providing a reliable source of revenue. Can I make a one-time donation instead? Yes, one-time donations are gladly accepted and welcomed. You can make a one-time donation here. Short answer: Yes, your donation is tax deductible. Long answer Part A: C89.5 is owned by Seattle Public Schools, which is a governmental entity as defined in Section 115 of the Internal Revenue Code (not 501). It is the opinion of the Seattle School District that contributions to the District may be claimed as charitable contributions as described in Section 170 of the Internal Revenue Code. You should consult your tax professional for guidance. In both cases, the deductible amount is the value of your donation minus the fair market value of your thank you gift(s). 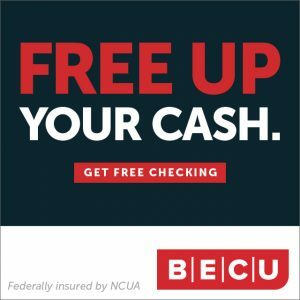 How do I get my employer to match my donation? This differs from employer to employer. When you donate, we send you an email receipt. This should either be taken to your H.R. department or submitted through your employer’s self-service page on their website. If you would like to check on whether your company will match, please visit https://www.c895.org/matching and use the search box on that page. Are there other ways that I can donate? Yes, we have a program where you can donate your old car, boat, RV, or other vehicle. We’ll use the vehicle to raise funds for the great programs you listen to every day and you’ll get a tax receipt for your donation. Put your unwanted vehicle in good hands by calling the vehicle donation line at 855-500-7433 or donate online here. Does C89.5 give out my address, email address, or phone number or other personal data? No. We do not sell, rent, or share your personal information with anyone. Yes. Your donation is processed by Acceptiva, an industry-leading, PCI-compliant credit card processor that specializes in supporting non-profit organizations. C89.5 does not store your credit card information. Call our business office at 206-252-3800, during business hours. Email our membership director, Bruce Wirth through this form.